An amazing 300+ yr old dollhouse. ! is displayed as part of the permanent collection of the Rijksmuseum in Amsterdam. 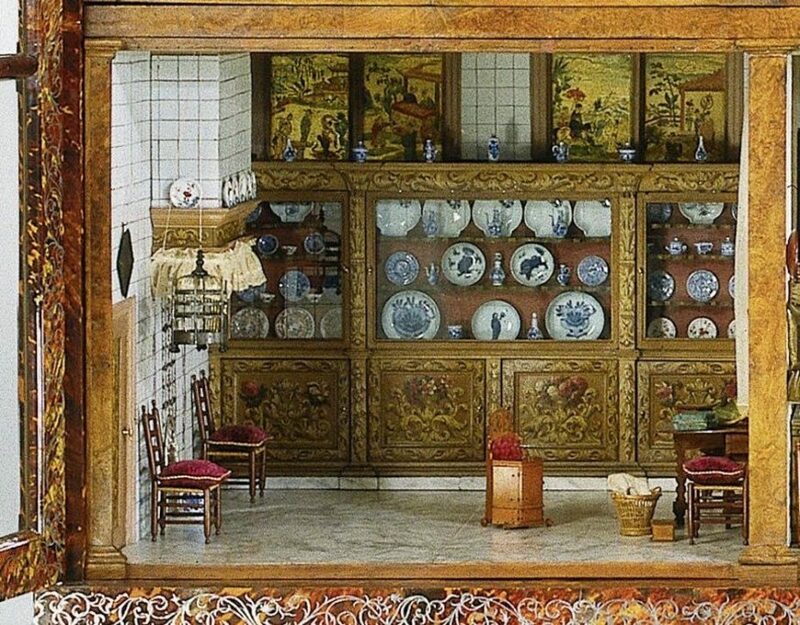 Her dollhouse was the inspiration for the 2014 novel The Miniaturist by Jessie Burton. This entry was posted in fun / humor, images, vintage and tagged Jacob Appel- Dutch painter, Petronella Oortman, Rijksmuseum, The Dollhouse of Petronella Oortman, vintage dollhouse. Bookmark the permalink. Oh my gosh! Now I am drolling with you! This dollhouse is soooooooo amazing! Love the painting of it, too! Wow! 300 years old! I’m glad it was made well and kept in such great condition! I will check out the links! Did you ever have a dollhouse?! No, never did have one but sometimes think about having one even this late in the game. . I’m nuts about miniature things. If I got into it I think I’d get obsessed and spend way too much $$ on it, probably wouldn’t stop at just one . . haha. I’m moved when I see such craft-work of an artist who has the focus and dedication to produce an object or better yet to produce an experience so detailed and true. The fine work of miniatures can be addictive. I’ve been in a purging state of mind recently though I can’t seem to not buy a book or a CD. Just stopping by with some HUGS! oh aren’t you sweet.. I’ve been trying to find the right subject/images for my next post..